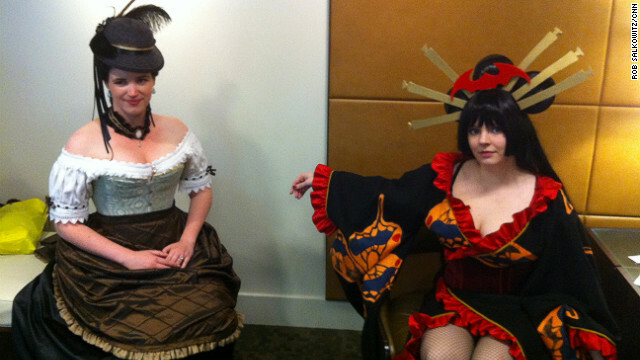 Steampunk and otaku represent at Geek Girl Con 2012, but so did plenty of engineers and scientists. The term “geek girl” has had to carry a lot of unwanted baggage lately. Intended as a positive self-identity for women and girls with well-developed interests in nerdy pursuits ranging from pop culture to science and engineering, it has become a flashpoint for gender friction within fandom and the target of suspicion among self-appointed guardians of subcultural boundaries. That’s too bad, not just because girl geeks are as deserving of respect as their male counterparts, but because the emerging persona of the capital-G Geek Girl has the potential to expand old conceptions of both fandom and gender and get us past some of the current silliness. This positive potential was in full display last weekend in Seattle at the second annual Geek Girl Con (GGC 2012). The program featured celebrities spanning the gamut of nerdom, from comics writer Gail Simone to game designer Corinne Yu, television producer Jane Espenson to Rat City Rollergirl Kitty Kamakaze. Cosplayers, gamers, Browncoats, makers, steampunks, manga fans and enthusiasts of all stripes were all represented among the crowd of about 3,500. The event seemed busy but not overcrowded, thanks to the move to the more spacious digs of the Washington State Convention Center. Though much of the programming focused on pop culture favorites like sci-fi, manga, videogames and comics – topics that generate predictable excitement and visibility –several panels featured women in rocketry, robotics, software design and engineering, with special emphasis on helping girls and young women overcome social stigmas against pursuing these areas in school and at work. 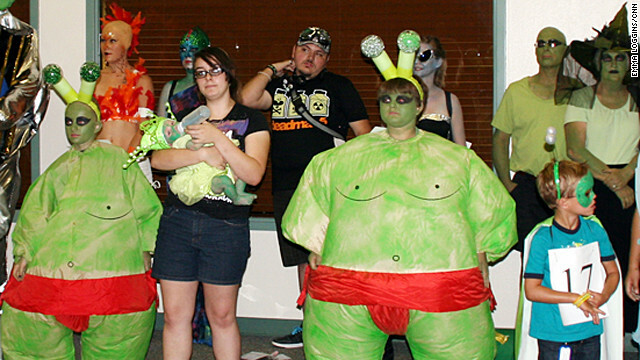 UFO convention attendees dressed the part -- even representing sumo aliens and alien babies. Editor's note: Emma Loggins is the editor of Fanbolt.com, a fan news site that specializes in behind-the-scenes information and interviews with the casts and crews of entertainment franchises with organized fan bases. This year marked the 65th anniversary of a mysterious object crashing down just north of Roswell, New Mexico, in 1947, and launching decades of speculation about the truth behind the wreckage. The Roswell Army Air Field (RAAF) released an initial statement claiming that a "flying disk" had been recovered. The following day, a second press release was issued which stated that the 509th Bomb Group had been mistaken, and the wreckage was actually that of a weather balloon. Years later, believers and skeptics alike flock to Roswell for the annual UFO convention. The event attracts scientists, doctors, engineers, and of course alien enthusiasts. This year, there were two festivals commemorating the event: One was put on by the city, and the other festival was hosted by the International UFO Museum. Cameras in hand, Barry and Ann Lasky stood outside the museum waiting for the opening ceremonies to begin Sunday. The couple moved to Roswell a few years back after attending an earlier festival and falling in love with the city. They moved to Roswell from Los Angeles, California, and began selling collectible memorabilia. 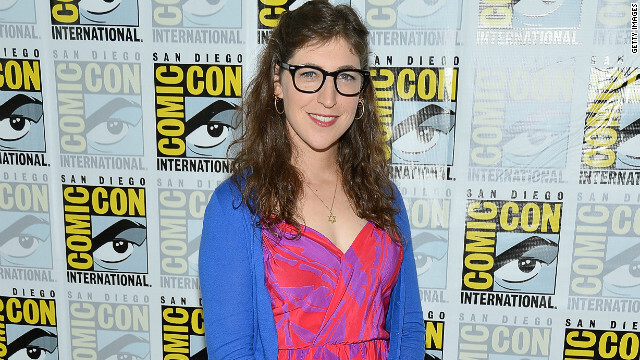 So you want to go to Comic-Con 2013? No trip to Comic-Con can be spur of the moment. Tickets go on sale months ahead of time–and usually sell out instantaneously. Once you have those tickets, you will want to lay out your plan of attack for the time you're there, not to mention figure out your accommodations, a separate battle. The lines at Comic-Con, especially for Hall H, make theme park lines seem like a breeze. This year, the line-to-line-up for Hall H serpentined past the convention center and around the back of the gigantic hotel next door - at 6 a.m. People sleep out there. 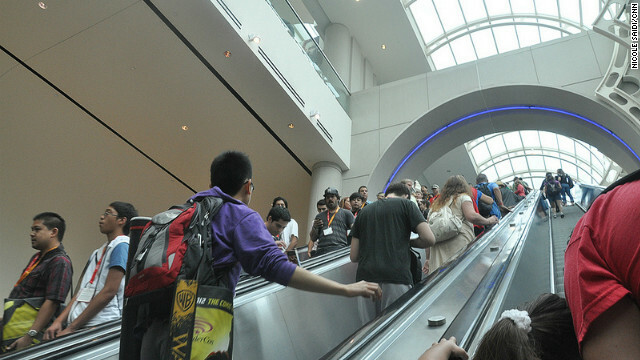 Unless you have no interest in any major panels, you will wait in line seemingly endlessly. See this as a chance to get to know your fellow Con-goers. It can be a tremendous help if you have a friend with you who has been there and done that. It can get difficult flying blind. Especially with rumors of crowds pushing the 200,000 mark, if you don't know where you're going you may have no choice about where you end up. "Never do anything before 11," said Geek and Sundry's Felicia Day. "And make sure you have dinner with the people you really want to catch up with. You can go from thing to thing and be so frenzied about it. Make your Con about things you really love, because there's so much to distract you." The nichiest of niche panels exist at Comic-Con, such as the "Ball Jointed Doll Collectors Group" or "The Chilling Archives of Horror Comics 'Zombies' Panel." Look hard enough and you may find one for you, with a much shorter line to get in. "You get to meet your heroes. It doesn't matter if you're here or if you're Peter Jackson," remarked "Doctor Who" star Matt Smith. "I bet Peter Jackson saw someone and said, 'Wow, you're here, too. Cool.' "
Whether it's going to a panel for something you like or finding a toy or comic book you've been looking for, prepare to squee. See you at Comic-Con 2013!